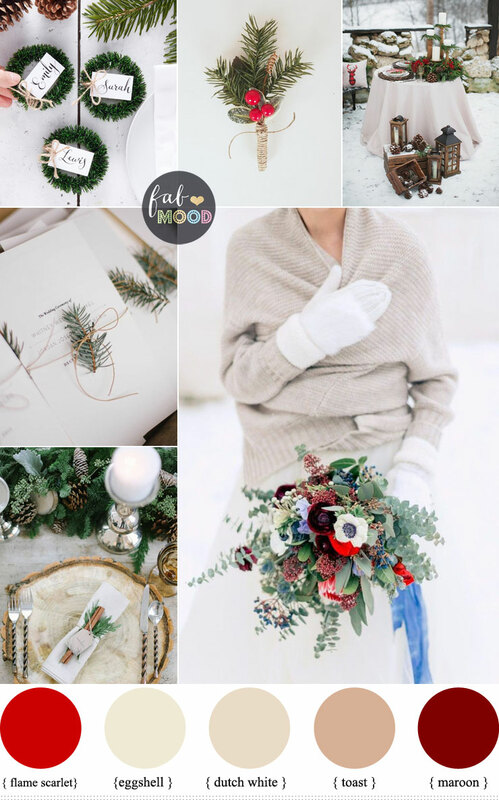 Planning a winter wedding! When you think of winter, what immediately comes to mind is Christmas. Many couples want to have their wedding in winter-when holiday season is in the air and when the snow and cold weather make everything more romantic. For couples who looking for timeless, elegant and chic try this palette shades of neutral and maroon for winter wedding.